Diba Ferdowsi graduated with a Master of Science (MSc) in Psychoanalytic Developmental Psychology from University College London in 2015. 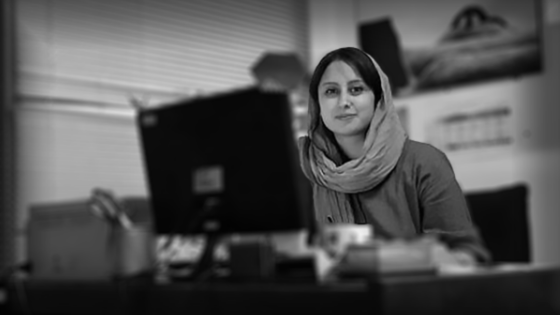 Soon after graduating Diba started working at OMID Center in Tehran where she helped launch a Special Education Program, Parvaneha. Parvaneha is devised for young women with extreme traumatic pasts, who need individualized therapeutic support and help with adapting and integrating with others. Enrolling in the main OMID Program becomes overwhelming for such fragile young women. Parvaneha provides a gentle transition from their horrific pasts to their future at and beyond OMID. The name, meaning butterflies, was chosen by the young women to reflect their symbolic change from a small, vulnerable caterpillar to a beautiful powerful butterfly. Click here to find out more about our current vacancies and opportunities to work with OMID Foundation.